Beauty entrepreneur Hollie Simpson is encouraging other young women to think about setting up their own businesses. The 34-year-old from Ingleby Barwick started her business when she was just 24 – buying a Saks beauty salon franchise. Now the former Middlesbrough College student is launching another company offering industry-leading advice on skincare. And Hollie’s business – which employs five people – is booming so much that she’s recruited another rising star from Middlesbrough College, 20-year-old Rebecca Oxley. Hollie said: “I always knew that I wanted to run my own business, and now I’ve been doing it for 10 years I encourage other young women to think about doing it for themselves. “My journey started with studying Hair and Beauty at Middlesbrough College around 2001. 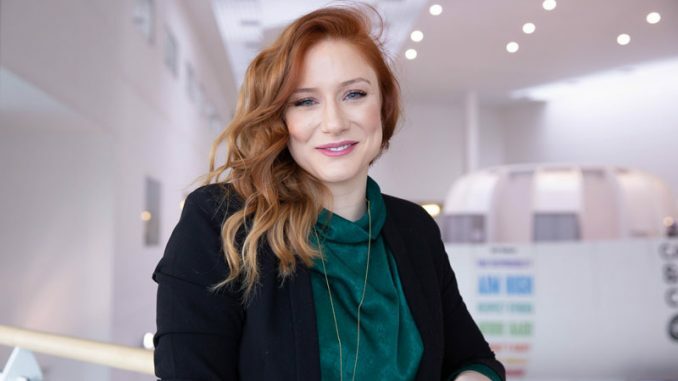 Since buying the Saks beauty salons franchise, Hollie has become one of a select handful of salon owners who work with Saks’ head office to develop training courses. Hollie has built nationally-recognised knowledge of skincare through extensive research. Now she’s launching a separate business offering industry-leading education to other skincare professionals. She explained: “I realised the industry is very orientated towards treatment of skin, without much knowledge about the science behind skincare. Hollie thinks the business – which is launching in the UK – has international potential. She’s received support from Middlesbrough-based Enterprise Revolution and Gem Finance, who helped her develop a business plan and organise her finances. She added: “I’m really excited about the potential of this business. “And as the Salon continues to go from strength to-strength we’re soon to have more staff. “I’m looking forward to giving new talent opportunities as we’ll recruit an apprentice soon. Hollie also completed a Certificate in Education and Training at Middlesbrough College – a professional teaching qualification which has given her the foundation for her new business. Zoe Lewis, principal and chief executive of Middlesbrough College, said: “We’re always thrilled to see Middlesbrough College alumni using the skills and knowledge they gained at college to build businesses. “Even better that Hollie’s success means she has chosen to give opportunities to other Middlesbrough College students.